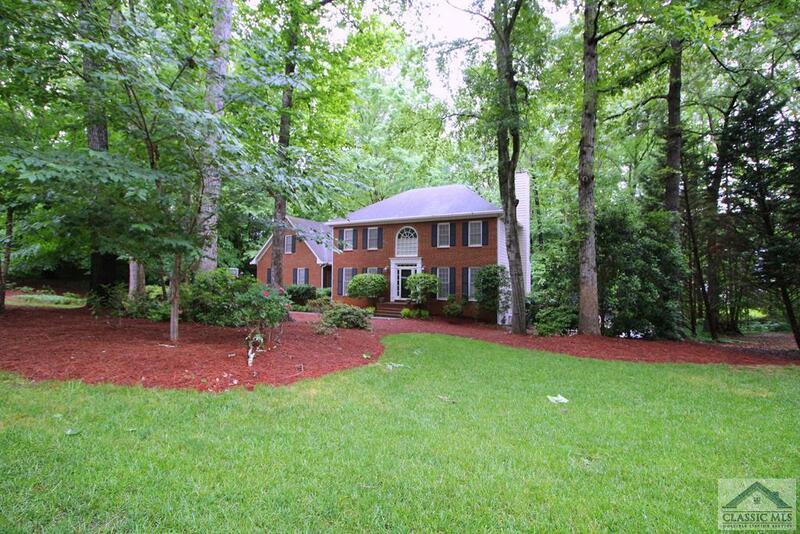 Nestled on a perfect .79ac corner lot in the coveted Brookwood School District is an extraordinary home with fine appointments & custom finishes. Masterfully designed, this 5bd/3.5ba, 2 story home features; gorgeous hardwood flooring, custom light fixtures, updated paint colors, ceramic tile floors, custom built-in shelving an cabinetry, 9ft ceilings & multiple living spaces just to name a few. The open floorplan maximizes space, offering a light airy feel throughout. Upon entry into the Foyer, the details begin to unfold. Offering vast living spaces, this home is comprised of formal living room/study, Dining room, Great room with built-ins & fireplace, a massive vaulted ceiling sunroom & completely updated gourmet kitchen. The 2nd level is home to the spacious family bedrooms. Thru double doors you'll enter into the owners retreat. Truly oversized, this fantastic suite is appointed with trey ceiling & an ALL NEW luxurious bath. Although all of these rooms are fabulous, sometimes you just need a little more flex space. Well then look no further than the finished basement complete with den & oversized rec. room + extra storage closets. This homes interior is quite amazing but the exterior is no less impressive. Enjoying outdoor living while the kids play on the playscape will be a breeze on the oversized rear deck or just down below in the fenced courtyard. Adorned with rock walkways, mature landscaping & mature shade trees this ultimate setting is this homes statement. No Recorded Subdivision is a subdivision within the city of Lilburn, Georgia. There are currently 0 Homes for Sale within No Recorded Subdivision, with asking prices ranging from $0 to $0. The average list price per square foot of the available inventory in No Recorded Subdivision is $0, which is the Lilburn average of $119. The Average Sales price of all sold real estate in this subdivision for the past year is $325,000. Recent comparable homes have been selling for 97.85% of their asking price. Waterfront homes represent of the available No Recorded Subdivision inventory. The population of Lilburn, according to the 2010 Census, is 11,596. The total number of households in the zip code of No Recorded Subdivision is 19,822, with an average household size for of 3.00 people. The total number of renter households within the zip code of 30047 is 4,248, which means that 78.57% of households in this zipcode are owner occupant households. 3721 WINDHURST DRIVE SW, Lilburn GA 30047 is a Home, with 5 bedrooms which is recently sold, it has 4,538 sqft, .51-1 sized lot, and Attached,Garage parking. A comparable Other, has bedrooms and 0 baths, it was built in and is located at and for sale by its owner at $ 0. This home is located in the city of , in zip code , this County Other, it is in the Subdivision, and Amberleaf are nearby neighborhoods.